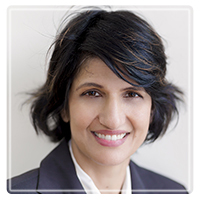 Vancouver Therapist: Kristina Sohal - Therapist V6E 2P4. I work with a variety of people that are struggling with coping trauma experiences in their lives. Send A Message To Kristina. Session Fees: I work on lower-sliding scale, which range from (50-100) hourly. My group therapy for women that have experienced spousal abuse is at no cost. Do you want Your Self-Power back? Are you wondering how to restore your Self-confidence? Do you feel that you are running in emotional circles and are not able to makes the changes that you want to better your Life? I help clients get their self power back, restores their self-confidence allowing them to have a better life. My clients learn their negative beliefs, and their self-beating criticisms, and their cycle of behavioural patterns that are permitting them from obtaining the life they had envisioned. I together with my client create a treatment plan accordingly to the counselling needs of each client. I work together with my clients to ensure they reach their counselling goals. I work with my clients to help them feel safe, understand their anxiety and help them learn how to cope with their symptoms. Client once asked me how is it possible for her to live so long without this mental illness, and then have it suddenly appear out of nowhere, and take over her life, where I can not work, and engage in other routinely activities. Anxiety can be brought on by environmental stresses including other factors such as changes in the brain structures. I develop strategies to address the client's anxiety induced thoughts and behaviours. I go over dietary and lifestyles changes to help the clients with their anxiety symptoms. I use Cognitive Behavioural Therapy(CBT) techniques to explore the clients feelings of severe despair. In therapy the client learns tools to overcome the barriers that have impacted their overall self-being. I use evidence based strategies to help the client overcome their depression, anxiety and post traumatic stress(PTSD). We all differ how we experience stresses, traumas and childhood events, I provide my clients safe and secure environment while encouraging the clients to shift negative attitudes and beliefs to accepting positive coping skills to build a better future. I also provide group therapy to women that are or have been victim of all types abuse from their partners. It is ten week program, women get together and explore feelings of shame and guilt. They learn the cycle of abuse, the types of abuse, the impact and the beliefs symptoms of abusive men. Look on my website to find out when the next group is going to start and where it will be held. I also provide anger management therapy to men. I work one-on-one with my client, to explore the triggers to resolve and control their anger. I provide worksheets that we work together on weekly basis, that create self-awareness for the client, that allow the client to look at their behaviour objectively and begin to heal. After this process is complete then I work with the client to develop healthy ways to communicate their feelings. The approaches that I use are Cognitive Behavioural Therapy (CBT), Mindful Exercises, Solution-Focused Therapy and Person Centered Therapy(PCT). I also incorporate some Exposure therapy and Empty Chair Techniques. I work together with my clients by suggesting and reading material, working on worksheets, go over suitable mindful exercises, journal writing of unwanted and positive thoughts and other related material to help clients to move forward with their inner healing. Clients leave each session with reassurance that their concerns are being addressed and they can overcome their struggles with ease.